It is estimated that up to 80 percent of Jews in North America trace their ancestry back to Polish lands — that is, what historically were territories that historically formed part of Poland. So there are many resources to aid genealogists. But since “Polish lands” extended far beyond what is today’s Poland, resources that deal with Austro-Hungary, Ukraine, Lithuania and elsewhere also can help. We post here a few places where you can get started. A database of records including more than 700,000 items including Holocaust, tombstone, synagogue, birth, marriage, death, emigration, immigration, draft, taxation, craftsman, and 1790s census records. The group has photographed gravestones in many towns in the area and translated epitaphs. A key source for genealogical research, where you can search online and also use its physical archives if you are in Warsaw. The Center provides its own list of recommended organizations, web sites, and databases — Click HERE to access. Resources on Jewish history and culture in the town of Gombin, Poland. Guiding and professional genealogy searches, based in L’viv and working in Ukraine and Poland. Vast searchable database — the largest fully searchable database of indexes to Jewish vital records accessible online. Some 5 million records from more than 550 Polish towns are now indexed or fully extracted. More are being added every few months. A wide variety of information on scores of towns in Poland — each town with its own web page(s) — and links to local/regional Special Interest Groups (SIGs) in several locations. Many resources, photographs and exhibitions on Polish Jewish history, culture and heritage, including in several individual towns. A Krakow-based Jewish travel company, run by Dr. Tomasz Cebulski, that also carries out genealogy research. Extensive resources compiled by Miriam Weiner, a pioneer of researching Jewish family history in eastern Europe. Many links to groups, databases, and more. Under an agreement with JRI-Poland, JRI will link to various chapters/entries in Miriam’s book, Jewish Roots in Poland (now out of print). Additionally, Miriam has donated to JRI-Poland four large bins of archive inventories, document copies, reference material, and numerous name lists (including Holocaust-related material), which will eventually be translated, indexed and made available on the JRI-Poland website. A collection of facts from the history of the ghetto based on archival and bibliographical data. The Internet database enables its users to easily find related information on specific subjects: people, events and places from the Warsaw ghetto. Many tourist organizations and agencies provide Jewish heritage tours to Poland. We list here only a few of them, along with itineraries, routes, guides, and other tourism-related material. A very useful online guidebook — it’s a few years old, but most of the information is still current. It has entries on dozens of sites around the country, arranged by city and town. 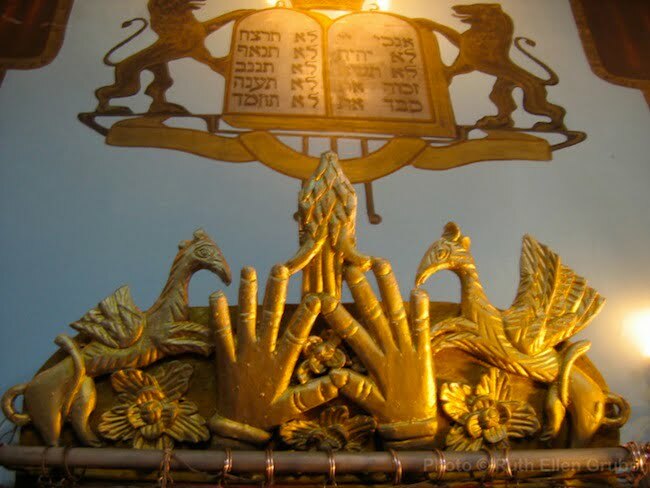 Tour operation based in that offers Jewish heritage tours as well as genealogy services. Krakow-based company, run by Dr. Tomasz Cebulski, whose web site has a wealth of historical and descriptive information, as well as basic information on scores of Jewish heritage sites. It offers Jewish heritage tours as well as genealogy research. A U.S.-based company specializing in Jewish tours to Poland. Polish-Israeli tour company based in Lublin, specializing in Jewish heritage tours in Lublin and eastern Poland, as well as Ukraine and Belarus. Detailed web site, fruit of an EU-funded Jewish heritage tourism project, with information, history, images, virtual reconstructions, etc, for more than 60 places in eastern Poland, Ukraine, and Belarus. The material is also published in printed guide form. Custom-tailored tours for individuals, families and groups exploring Jewish Poland, including study tours. It is the flagship program of the Taube Center for the Renewal of Jewish Life in Poland Foundation. Detailed, downloadable PDF guide from the Taube Foundation. An essential resource. An informal itinerary in southeast Poland put together by the Foundation for the Preservation of Jewish Heritage in Poland (FODZ) that links the towns of Baligrod, Bilgoraj, Chelm, Cieszanow, Debica, Dukla, Dynow, Jaroslaw, Kolbuszowa, Krasnik, Lesko, Lezajsk, Lublin, Lancut, Leczna, Nowy Zmigrod, Przemysl, Radomysl Wielki, Ropczyce, Rymanow, Rzeszow, Sanok, Tarnobrzeg, Ulanow, Ustrzyki Dolne, Wielkie Oczy, Wlodawa and Zamosc. You can download PDF brochures with information on Jewish history and heritage for 11 of these places from the FODZ web site. Detailed, downloadable PDF guidebook to Jewish history and heritage in Łódź. A go-to resource. Web site of “tour guide” and educational project of the Auschwitz Jewish Center that takes visitors to the Jewish sites of pre-World War II Oswiecim, the town where Auschwitz was built. Before the Holocaust it had a majority Jewish population: Oshpitzin was the town’s name in Yiddish. Warsaw-based tour guide specializing in Jewish tours of Warsaw and elsewhere in Poland. An information resource prepared by the Jewish community in Warsaw with tourist and logistical information, and information and contacts regarding synagogues and other Jewish institutions, Jewish heritage, sights, kosher food, etc.